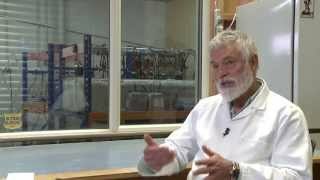 Formerly an Associate Professor in the Chemical and Process Engineering department at Canterbury University, John was the first person to find and characterise Carbon Nano Tubes ("CNTs") in the 1970's. Since this initial finding John has continued to contribute visionary insights regarding both natural phenomena and industrial processes. In 2007, John met Stuart McKenzie (ArcActive's CEO) and ArcActive was founded on the basis the technology that John invented, now known and patented as AACarbon. John is now Chief Technology officer at ArcActive, in his capacity as CTO he continues to push the limits of his technology into new applications to reach a vast range of markets. ArcActive is currently commercialising the technology for use in electrodes for ‘Stop/Start’ batteries in modern cars. John Abrahamson was a finalist for the Researcher Entrepreneur Award at the 2013 KiwiNet Awards. Watch his story.